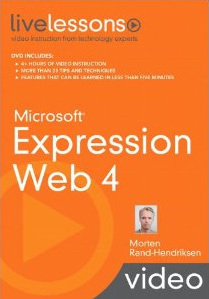 Earlier this summer Microsoft released version 4 of Expression Studio. 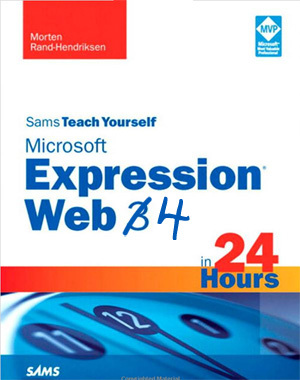 The new version brough major upgrades to Expression Web and as a result my hugely popular book Sams Teach Yourself Microsoft Expression Web 4 in 24 Hours had to be updated. That meant I had to go through every nook and cranny of the new version to find all the new goodies, come up with new examples to show them off and then rewrite whole chapters to reflect these changes. It may come as a surprise, but revising a book like this is almost as much work as writing it from scratch. Which means once v5 comes out I am likely to do a complete rewrite. But that’s a different story. The new book, scheduled to be released end of October , features updated and extended examples, new features, removal of deprecated features. New content worth noting is an extended chapter on the new and improved Expression Web SuperPreview which now includes full support for IE6, 7, 8 (compatibility mode) and 8 as well as a new feature called Remote Browser Testing that allows for testing on external browsers like Safari for Mac and an entire chapter on the new Search Engine Optimization (SEO) Checker tool. Expression Studio 4 and Expression Web 4 comes as a free upgrade if you already own version 3. That means if you have version 3 you should upgrade right away. And if you alredy have my version 3 book you should get the new version once it comes out. I’m not saying this because I want to sell more books but because there are some new features in there that are important to understand and get the full use out of. In addition to the book I’ve also created a colossal 27 lesson video series clocking in at around 5 hourscalled Microsoft Expression Web 4 LiveLessons (Video Training) for those of you who either don’t want to read a book or who want more hands-on training using Expression Web. The LiveLessons series features an entirely new example project based on the 12×12 Vancouver Photo Marathon website and provides a best-practice model for how to create professional, rock solid and stylish websites using standards-based HTML and CSS. The LiveLessons series is complementary to the Sams book so there are things that are covered in the videos that are not covered in the book and vice versa. Thus even though you’ll get a lot out of each item alone you’ll get a much better and more in-depth understanding by getting them both. Again, this is not a sales pitch – I’m being honest here. The combo really is the better deal. The video series will be available on DVD early October and I believe it will also be available for download or online viewing on InformIT’s website (tba). Because I don’t already have way too much on my plate I decided to start a huge photography event/contest last year called the 12×12 Vancouver Photo Marathon. In a nutshell it’s a contest where 60 photographers show up on a set date, pick up a 12 exposure 35mm film and then at the top of every hour for 12 hours are given one theme to interpret in one photo. At the end of 12 hours the films are returned, developed, judged and finally put up in a huge exhibit. In the end we end up with 720 photos divided into 60 sequences of 12 consecutive themes. 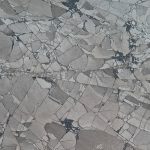 The 2009 event was a massive success with over 300 people showing up for the gallery exhibit and we expect this year’s event to get even bigger. In the runup to the even (and to kill two birds with one stone) I developed a new site for the marathon and used this site as the demo project for the Expression Web 4 LiveLessons series. 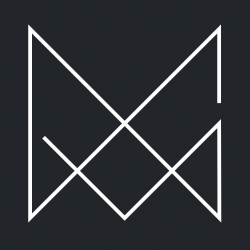 As a result the site features some pretty fancy elements like a transparent CSS-only drop-down menu with multiple in-button styles, CSS3 drop-shadows and rounded corners and tons of other fancy schmancy style elements. The 2010 12×12 Vancouver Photo Marathon takes place on Sunday September 12 from 8am to 8pm in downtown Vancouver with a home base at Blenz Coffee in Yaletown. Tickets for participation (60 in all) are $24 per person and cover all expenses. Tickets go for sale Thursday, August 12 at 8pm and are expected to sell out fast. The following art exhibit will be held at Vancouver Photo Workshops on the 16th of October. I’ve been listening to your Live Lessons video on Expression Web 4 and it is awesome and you are a great teacher! Live lessons is pretty good. I just felt like something was missing. So I looked around for something else and found expression web training from http://www.expression-web-tutorial.com and I think it’s one of the best training resources out there. Actually, it is a nice adjunct to live lessons. Both authors are great teachers, but their approaches to designing are somewhat different. That’s why I think http://www.expression-web-tutorial.com Training and Live Lessons would be a great combination.